Group calling was rolled out globally Wednesday for all Facebook Messenger users. 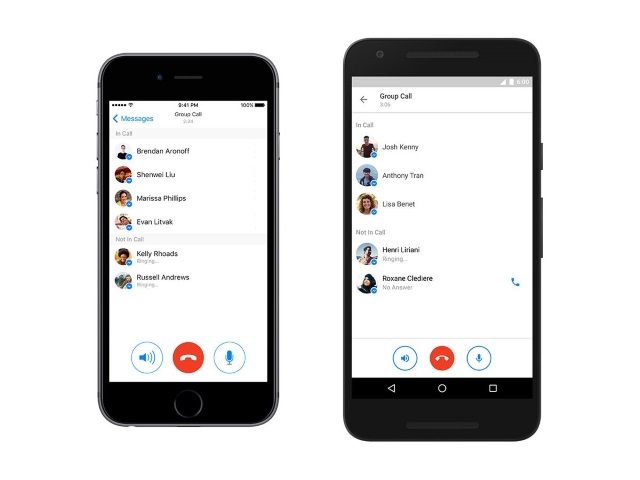 Really excited to announce the global rollout of group calling in Messenger today. From any group conversations, just tap on the phone icon to initiate a group call. You can then manage individual participants on the next screen. If you have the latest version of Messenger, you should see the phone icon appear in group conversations within the next 24 hours. Give it a try, and as always, let us know how we can make it even better for you. Readers: Will you try out group calling on Messenger?